Attempts to investigate thought transference and second sight go back many centuries. Early attempts, however, often suffered from poor observation and flawed procedures that allowed cheating or misinterpretation. Scientifically controlled investigations into telepathy, clairvoyance and precognition (predicting future events) were pioneered by members of the Society for Psychical Research (established in 1882). In the 1930s, at Duke University, Joseph Banks Rhine established the world's first laboratory dedicated to formal experimental testing of psychic abilities. 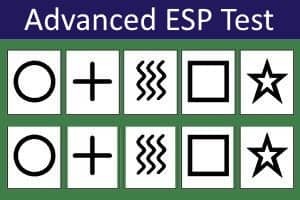 At Duke, J.B. Rhine devised standardized procedures for testing 'extrasensory perception' (ESP), an umbrella term which he coined to encompass telepathy, clairvoyance, and precognition. 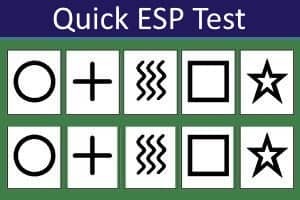 To test ESP, Rhine relied mainly on a card-guessing task that used a set of special cards designed by Karl Zener. 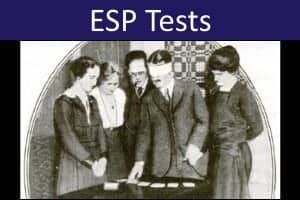 Card guessing to test ESP is still used by some parapsychologists, although the method has been largely overtaken in recent years by more elaborate and engaging procedures. These include the use of 'free response' tests in which participants attempt to form impressions about a concealed photograph or video clip. 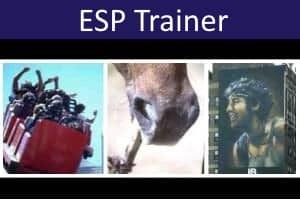 The links shown below allow you to test yourself on a variety of ESP tasks. These tests follow accepted scientific protocols (they are not rigged) and you are most likely to score around chance levels. If you score highly, you may have just been lucky. On the other hand, especially if you can perform consistently well, it may suggest that you have real psychic abilities. 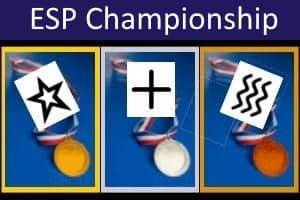 If this is the case, you should definitely try our ESP or Precognition Championship. If you get one of the highest scores, we will even add you to our list of champions!